The organization leadership issues play great importance theatrically and practically. Increasing changes have led to high competition among companies making them face more changes and threats.to minimize the competition effect, appropriate leadership style should be deployed in organizations. As quoted by many authors the style of leadership implemented influences the performance management of employees. To perfect in business, an organization should innovate widely on productive kind of leadership (Northouse, 2018 pp.67). The beauty and health sectors require a productive business performance. The United Kingdom is rated among the top in the beauty and health sectors. PWC completed deals in the UK have led to the movement of investors from the UK and abroad. For example, L'Oréal a big company of cosmetic have experienced drop economically due to leadership issue. Rebuilding the customers' trust and satisfaction, the leaders should bring remedy to some of the factors that chased customers from seeking their services (Bolman and Deal, 2017 pp.1-10). Generally, health and beauty is a non-profit organization which was discovered so as to attain productive sales and marketing executives by adopting a suitable leadership which meets the customers' requirements. To reinforce the communication between retailers, wholesalers, and suppliers, the health and beauty organization initiates leadership style evolution. This sector of business, expects a 2.8% growth rate over the next 3-years.Despite of high expectation in growth the sector is affected by some challenges. Consumers have become suspicious of the ingredients used which initiates the need for leadership to put into consideration the customers complain. The sector has also experienced social media impact. Social media advocates green and natural product which has made consumers avoid the products containing the chemical (Raelin, 2011 pp.195-211). Leadership plays a great role in the organizations' performance. Leadership is a key determiner of the direction of every business, it should be highly invested. The existing gap between leadership and organization performance should be minimized so as to uplift the growth. Of health and beauty organizations . Leadership is the major remedy for existing problems and challenges in health and beauty organization. Many organizations implement different styles of leadership. Irrespective of the leadership style used it should display a productive performance. The quality of leadership determines the motivation of the employees when delivering their services. Perfect leadership implements strategies that boost the workers' motivation. The strategies are deployed by the health and beauty organization such as good salary and protective working environment for the employees (Kislov et al 2011 pp.64). The major purpose of having an organization is to obtain the create goal which is a process which requires guidance from the leadership. Research done by various authors proves that the workers only utilize 60% of their capabilities without supervision while the remaining 40% requires leaders' observation. Positive leadership is a basic requirement in today's businesses. First, it influences managers to deploy motivation, inspiration and effective communication among employees. Also, positive leadership makes leaders initiate training programs for their employees which uplifts the performance of the organization. Lastly, through leadership, the organization is capable to neutralize hazardous environmental changes within the workers which prevent the downfall of the organization. The study on the connection between the leadership and organization performance and then relating their effects to the health and beauty performance is a valuable task. 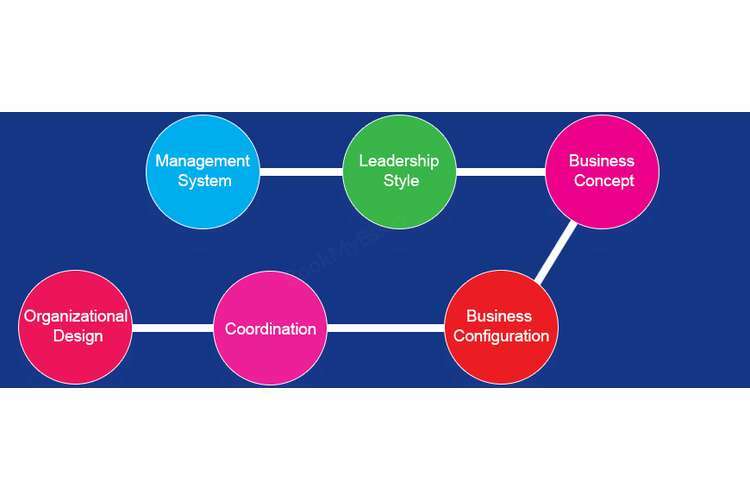 The study offers a link between roles of leadership and business performance within all the levels. It also seals the existing gap from other research. The study also clarifies the qualities of positive leadership for the health and beauty sectors in the UK (Feng Jing et al, 2011 pp.224-242). Despite the health and beauty sector positioned as the top industry, it experiences various challenges. During 2016 the beauty sector market failed by 2.1% due to poor leadership management. A good leadership should initiate a remedy to the factors generating the chances of failure in an organization (Aaker, 2012 pp.58). 2. Aston, L., 2010. Helping workers help themselves. Occupational Health & Wellbeing, 62(11), p.29. 4. Feng Jing, F., Avery, G.C. and Bergsteiner, H., 2011. Organizational climate and performance in retail pharmacies. Leadership & Organization Development Journal, 32(3), pp.224-242. 5. Kislov, R., Harvey, G. and Walshe, K., 2011. Collaborations for Leadership in Applied HealthCare: lessons from the theory of communities of practice. Implementation Science, 6(1), p.64. 7. Raelin, J., 2011. From leadership-as-practice to leaderful practice. Leadership, 7(2), pp.195-211.